Coming off two races on 1.5-mile ovals, the 2012 NASCAR Sprint Cup Series are steered towards the 3/4-mile Richmond International Raceway for the Capital City 400. Recent NASCAR Sprint Cup series races on at Texas Motor Speedway and Kansas Speedway received less than enthusiastic fanfare afterwards based on what many said were dull events. A racetrack that has for years won the approval of stock car competitors and fans as a model for short-track racing, the Richmond International Raceway's Saturday night event is seen as a great chance to see a much-needed, action-filled 400-lap race for the NASCAR Sprint Cup Series. For the second time this season, part-time Sprint Cup competitor Mark Martin placed the #55 Aarons Toyota on the pole position. Lapping the 3/4-mile short track in 21.040 seconds at a speed of 128.327 miles per hour, Martin edged the #99 Roush Fenway Racing Ford of Carl Edwards with a slim 0.006-second advantage. 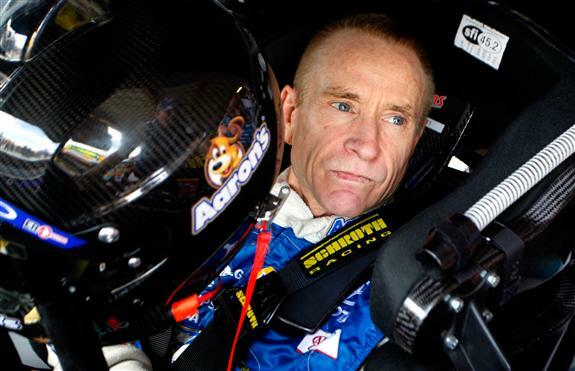 Mark Martin's pole position highlights the suspreme dominance of Toyota Camrys in the NASCAR Sprint Cup Series at Richmond International Raceway. In the past 6 races held at the short track, Toyota entries won 5 of the events. However, every win by Toyota occurred with the Joe Gibbs Racing team in victory lane. Showing some outstanding pace this season, the three-car Michael Waltrip Racing team is currently the most united in front-running Performance. With Mark Martin on the pole, Martin Truex Jr starting in 8th place and #15 car of Clint Bowyer (a previous winner at Richmond) lined up 23rd, the chances of seeing a Michael Waltrip Racing victory this season may occur sooner rather than later. Behind Carl Edwards, last summer's race winner Kevin Harvick starts 3rd alongside the #22 car of AJ Allmendinger. The previously mentioned Joe Gibbs Racing squad placed well after qualifying with Kyle Busch in 5th, Danny Hamlin 7th and Joey Logano 18th. Still clawing for what will be a popular 200th win for Hendrick Motorsports, three of the four teams are starting in the top-10. Leading the Chevrolet-powered Hencrick Motorsports team is Jeff Gordon in 6th place. In order, Kasey Kahne Farmers Insurance car and Dale Earnhardt Jr National Guard Chevy fill the fifth row of the Capital City 400. Mustering a 27th fastest run, Jimmie Johnson encountered trouble in qualifying resulting in his #48 Chevrolet being the slowest car of the Hendrick Motorsports group. Hendrick Motorsports has won ten times in the NASCAR Sprint Cup Series at Richmond. The 400-lap NASCAR Sprint Cup race is scheduled to start at 7:30 PM Eastern time.